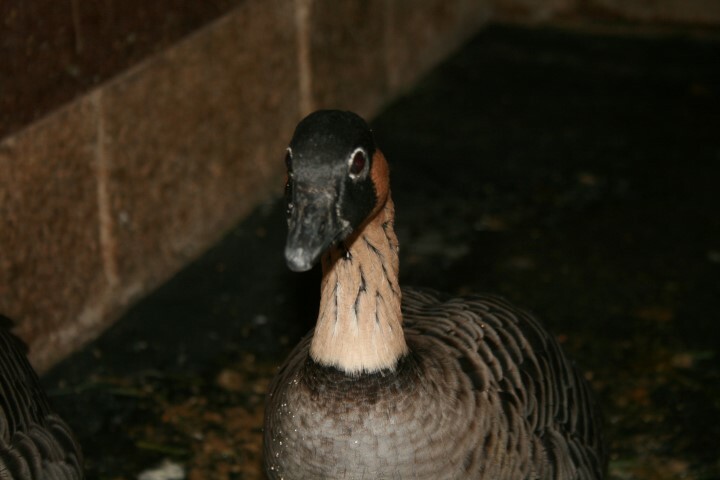 Also known as the Nene, Hawaiian Geese are only found on the islands of Hawaii, where they are the state bird. Listed as vulnerable, they are the worlds most endangered species of goose, with approximately 2500 birds in the wild today. At one point that number was down to 30, with hunting and the introduction of predatory species the main factor. An extensive conservation programme has seen a recovery with captive bred birds released back into the wild. 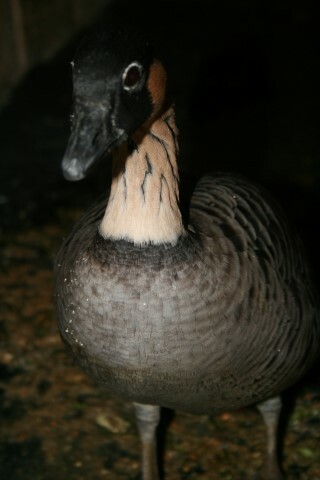 Nenes are a mid sized goose which pends much of its time on land. Indeed, they have less webbing on the feet than most waterfowl and this enables them to move at speed on the ground. Males are slightly larger than females. 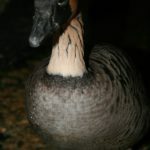 Nenes breed on land with the female choosing a nest site to her preference. Anywhere between 1 to 5 eggs are laid and incubation lasts for up to 32 days with the female incubating and male standing guard. The goslings are mobile and can feed themselves but will stay under the close watch of the parents. 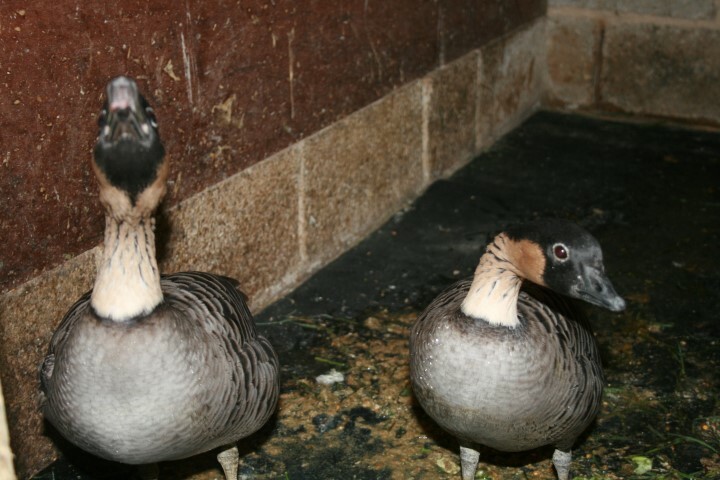 Our new pair arrived on Sunday from a family in Bristol.They are both around 5 years of age and have laid in eggs in the past two years but have had no goslings as yet. 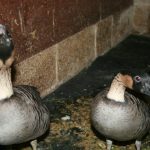 As always they are serving a period of quarantine and will be on show soon, most likely on the stretch of river running in front of the aviary boulevard. The Bartlett’s Bleeding Heart Dove have an egg and the Roul Roul Partridge have 3.